Thomas & Betts Kindorf® Pipe strap of trade size 5-inches, is suitable to use with rigid conduit, IMC and pipe. 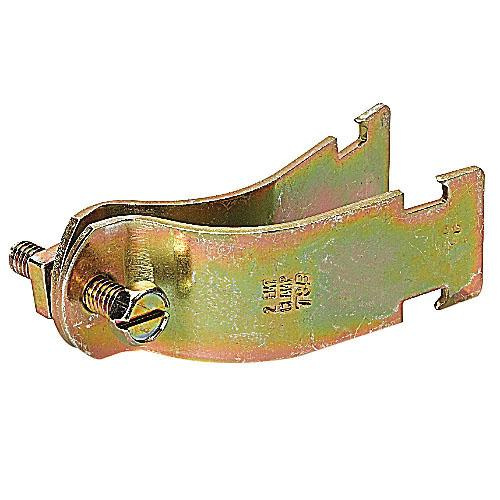 Strap features 11-gauge steel construction with hot-dip galvanized finish. The bolt head of this strap is a combination of slot and hex head for flexible attachment. It has band width of 1.25-inches and withstands load of 1650 lb. Strap is CSA certified.